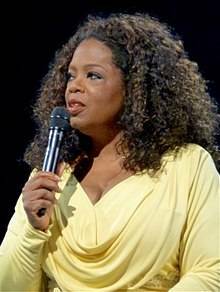 Oprah Winfrey (born Orpah Gail Winfrey; January 29, 1954) is an American media proprietor, talk show host, actress, producer, and philanthropist. 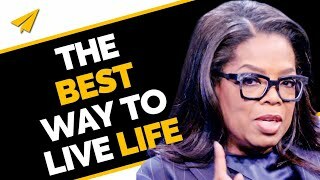 She is best known for her talk show The Oprah Winfrey Show, which was the highest-rated television program of its kind in history and was nationally syndicated from 1986 to 2011 in Chicago, Illinois. 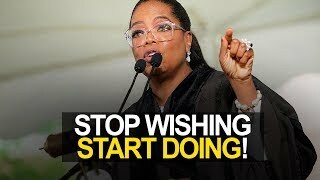 Dubbed the "Queen of All Media", she was the richest African American of the 20th century and North America's first multi-billionaire black person, and has been ranked the greatest black philanthropist in American history. At the peak of her popularity she was ranked by some as the most influential woman in the world. Winfrey was born into poverty in rural Mississippi to a teenage single mother and later raised in an inner-city Milwaukee neighborhood. She has stated that she was molested during her childhood and early teens and became pregnant at 14; her son died in infancy. Sent to live with the man she calls her father, Vernon Winfrey, a barber in Tennessee, she landed a job in radio while still in high school and began co-anchoring the local evening news at the age of 19. 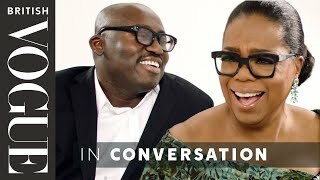 Her emotional ad-lib delivery eventually got her transferred to the daytime talk show arena, and after boosting a third-rated local Chicago talk show to first place, she launched her own production company and became internationally syndicated. Credited with creating a more intimate confessional form of media communication, she is thought to have popularized and revolutionized the tabloid talk show genre pioneered by Phil Donahue, through which, according to a Yale University study, she broke 20th-century taboos and allowed LGBT people to enter the mainstream. By the mid-1990s, she had reinvented her show with a focus on literature, self-improvement, and spirituality. Though criticized for unleashing a confession culture, promoting controversial self-help ideas, and having an overly emotion-centered approach, she is often praised for overcoming adversity to become a benefactor to others. From 2006 to 2008, her endorsement of Barack Obama, by one estimate, delivered over a million votes in the close 2008 Democratic primary race. In 2013, she was awarded the Presidential Medal of Freedom by President Obama and honorary doctorate degrees from Duke and Harvard. Martin Luther King, Lyndon Baines Johnson and the civil rights marches that changed America.